In stock. Order in the next 17 hours, 34 minutes and it will go out today! 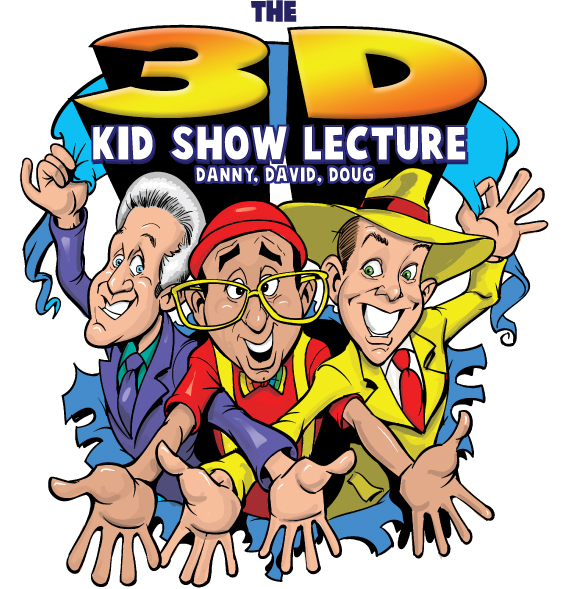 Direct from the IBM/SAM Combined Convention where Danny Orleans, David Kaye (Silly Billy) and Doug Scheer lectured on Family Magic, you get THE 3D KID SHOW DVD. This collaborative DVD contains 11 video clips teaching you routines, tricks, warm-ups, gags and more that are all part of these professionals' repertoires. You can also access 7 PDF files containing more tricks and routines as well as Marketing Strategies that can help you get more bookings and successfully up-sell your clients. Over 100 DVDs sold in 20 minutes after their lecture. A limited supply is still available. This DVD gives you three distinct approaches to working with children and family audiences. Each is VERY different from the others, but all of them are effective, giving you the opportunity to find out which approach will work best for you. I bought this DVD from Danny, and it's one of the best I've ever bought! The routines and the ideas that are included are great, funny and super smart.